HE PAID no heed to trends and fads and in the process forged his own distinctive sound. 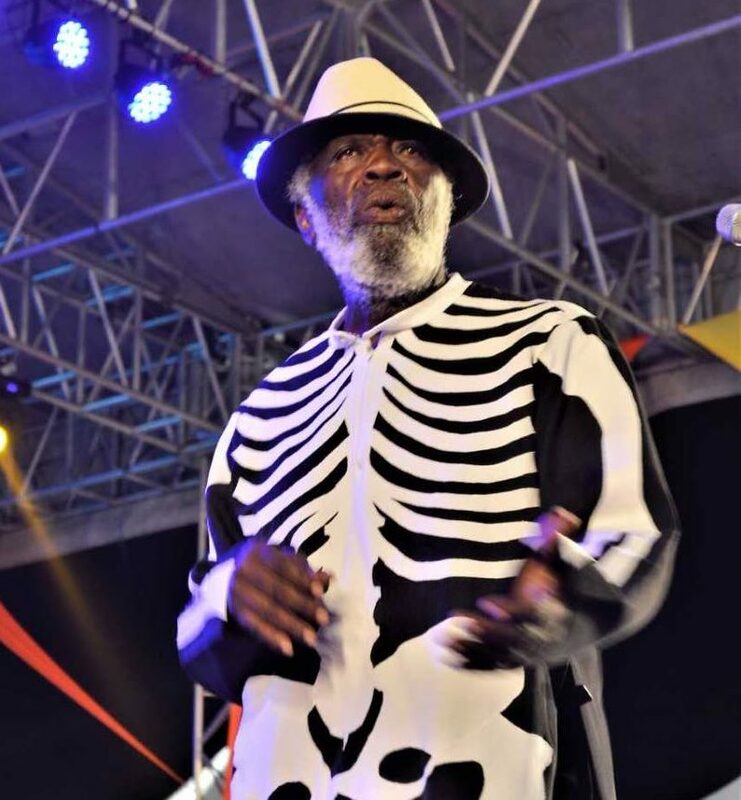 With his death, the Mighty Shadow leaves a tremendous void not only within soca music but within the local artistic landscape. His was a sound that embraced big brass and intimate off-kilter melodies. His moniker belied an interest in the darker side of life, yet this was always tempered by lyrics that were as jejune as they were sardonic. Whatever our literary interpretation of his many imperatives, few would disagree with the assessment that he has left behind music that compellingly invites all to sit at the table of democracy. “Old lady, young lady, everybody could dingolay,” Shadow declared. He was a force that understood how “music fills the world with happiness” and that even “in the dark a blind man can find a melody.” Yet it was not all jump and wave. Before the genre of “social commentary” came to dominate Dimanche Gras, Shadow informed us that “poverty is hell.” At a time when it was not yet fashionable to do so, he used his pen to address pressing issues of the day, such as the HIV/AIDS epidemic. He was able to pull off the rare feat of being able to address weighty social issues in a medium that calls for lightness and exuberance. In the year 1974, Shadow made history by winning the Road March with Bassman. His other song I Come Out To Play also placed second that year, making him one of the few Road March winners to have beaten himself to the title. He then won the title again in 2001 with Stranger, which also won him the International Soca Monarch title. “Music have me in a trance,” declares the visiting reveller in that song. She is advised to “do your thing.” In 2000 Shadow also won the Calypso Monarch competition with What's Wrong With Me and Scratch Meh Back. While Shadow received the Hummingbird Bird Medal (silver) in 2003, he deserved far better. His death comes just as his rightful due in terms of acclaim and recognition was beginning to accrue to his name. He was due to receive an honorary doctorate from the University of the West Indies this weekend. Maybe Shadow’s greatest reward, though, will be his indelible impact on our collective consciousness. Few can forget his unique and understated style of delivery. His movements on stage drew attention to his lyrics and their message that all bodies could be a part of the dance. No doubt in the coming days many, including the current crop of young soca stars, will pay tribute to Shadow. He leaves behind a body of work that is of immense cultural and social significance and which, in many ways, anticipated the dizzying heights of our music today. Reply to "A mighty shadow"